There is always a squeal of delight whenever anyone sees a family of ducks – people just love ducks. 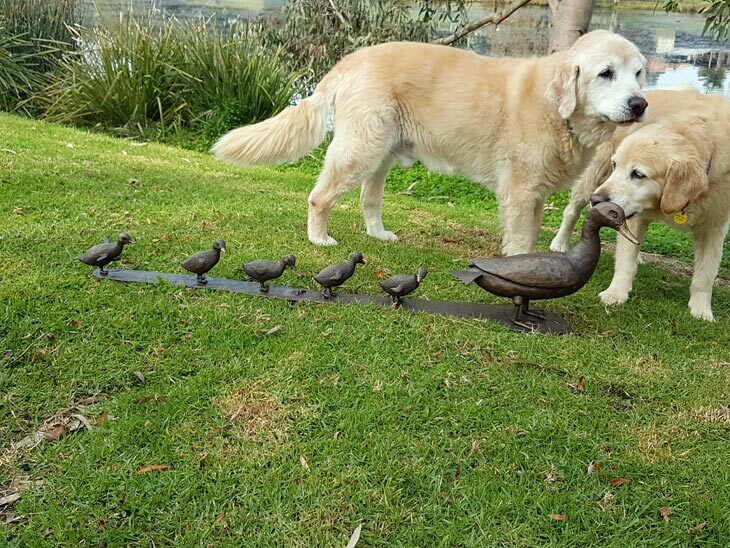 The Mother Duck with Ducklings sculpture can add some humour to any backyard. The sculpture can be ideal for a lawn or paved area, on the edge of a pool/pond and is also a suitable size for an indoor/outdoor table.